San Francisco is the cultural and commercial center of Northern California, USA. 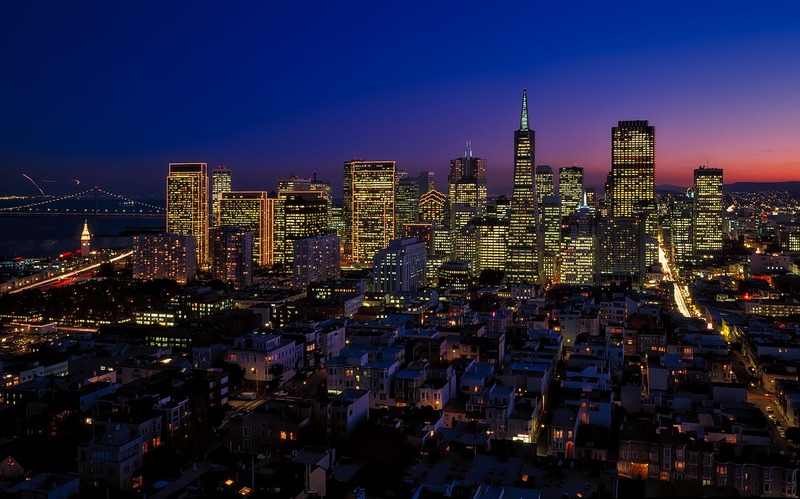 San Francisco is the fourth most populous city in California, after San Jose. Expats are generally feel welcomed here. San Francisco has natural beauty and vibrant neighborhoods aong with the Golden Gate Bridge and Alcatraz. This unique city is home to numerous high tech company such as Twitter & Salesforce. The city is a wonderful place to live a good life, but real estate pricese and rent are quite high, making expatriation to the region quite difficult. In San Francisco, you will enjoy the food from several countries around the world: Mexican, Spanish, American, etc. There are lots of fine dinning choices in the city, including super fresh seafood: lobsters, shrimp of all sizes, clams, squid and more. Many expats will take a short trip to the Napa Valley to enjoy the excellent wines and lifestyle. There are many popular large and modern shopping malls in San Francisco. Or you can go to upscale shopping district offering luxury brands. If you are looking for something more antique and unique, please go to the historic district. It won’t let you down. Both public and private healthcare in San Francisco are of high standard. There are a lot of highly trained doctors and support staff. However, expats should ensure they are covered by international health insurance before they move to San Francisco. Access to quality healthcare is tied to having health insurance, so do not live in this great city without excellent medical cover. Most expatriates will want to obtain international medical coverage if residing in San Francisco if a local plan is unavailable or not provided by your employer. Please let us know if you have any questions or if you would like a quote.